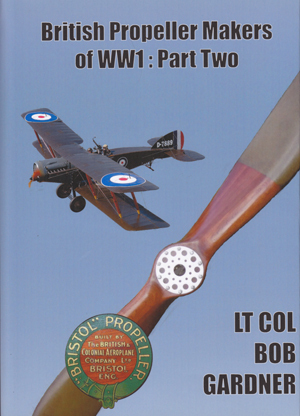 This is the second of a series of five books which, when complete, will describe all the makers of aircraft propellers in Britain during WW1 and their products. 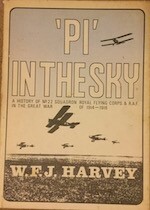 This book describes makers from The British & Colonial Aeroplane Company to the Falcon Airscrew Company. The majority of prop makers in Britain in WW1 had no connection with prop making before the start of the war and were recruited by the government, mostly from 1916 onwards. Almost all were experienced wood-workers in various disciplines. Some were world class, such as Maple & Co which furnished palaces all over the world, hotels, town houses, country homes and embassies. By 1912 Maple & Co had received orders from eight, mainly European, royal houses. HH Martyn & Co was probably the best firm of sculptors, carvers and modellers in Britain and produced architectural sculpture, metalwork, ornamental plasterwork and joinery to the highest standard. Their work included complete interiors for palaces in India and complete interiors for Pullman trains and ocean liners. White Allom & Co were top-of-the-market builders and decorators, whose work included cabinet making and joinery. Sir Charles Allom was knighted for his redecoration of part of Buckingham Palace. Other notable work was par5 of the interior design of the Walford Astoria Hotel in New York, interior decoration for Hearst, the newspaper magnate, in both his castle in Wales his replica castle on Long Island and his enormous new castle at San Simeon in California. For a few, the transformation to an aviation company was permanent, including Boulton & Paul, the Phoenix Dynamo Manufacturing Co Ltd, which became part of English Electric, and HH Martyn & Co who co-founded the Gloucester Aircraft Co, as it was initially known.